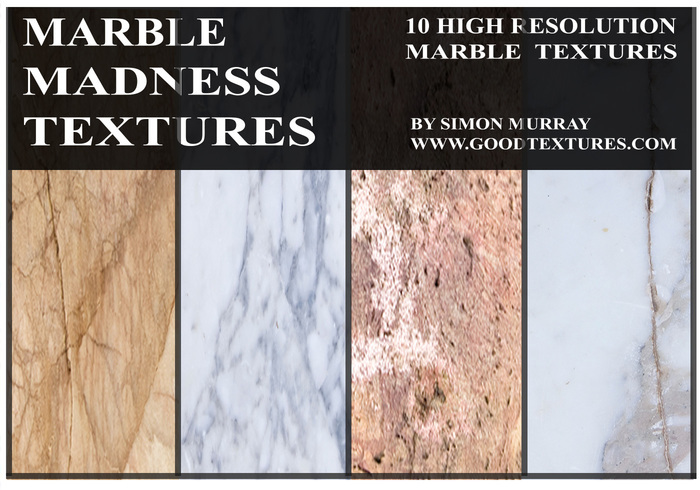 10 free high resolution marble textures. Here is a small collection of mixed marble textures. They are free to use for either private and/or commercial use. I hope you like them...Enjoy! I am more than happy to oblige. Glad you like them and can put them to excellent use. Hope they prove to be of some use. Thanks for sharing. These will make great overlays! I'm glad you like them, thanks.